Laid down, 11 February 1944, at George Lawley & Sons, Corp., Neponset, MA. 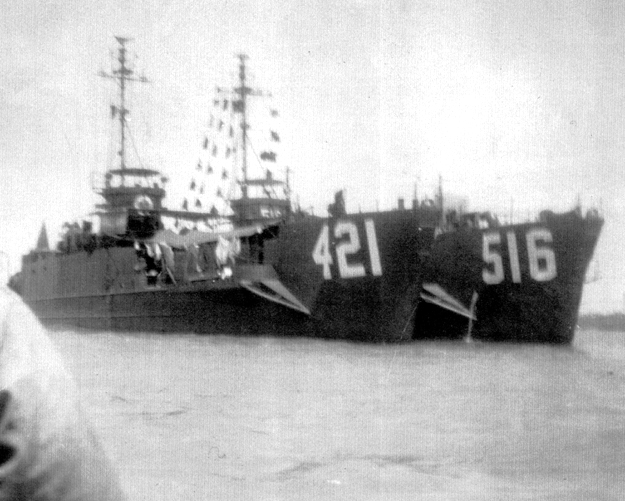 196k USS LCI(L)-421 and USS LCI(L)-516 nested together in a mooring, date and location unknown. 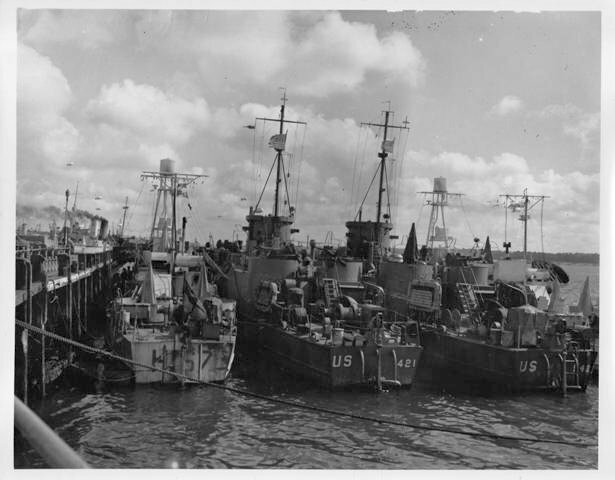 49k USS LCI(L)-421 and possibly USS LCI(L)-541 nested together in a mooring with British vessels, date and location unknown.